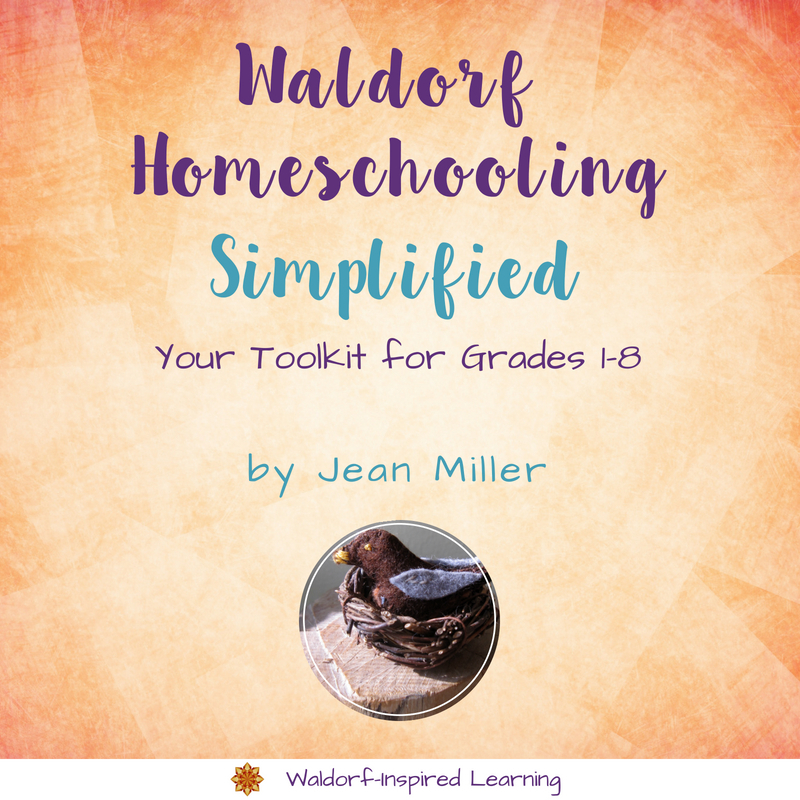 Over the past few years, I’ve received lots of questions about Waldorf homeschooling from parents just like you. Perhaps your questions are similar. Here are the top 5 FAQs about Waldorf homeschooling that are sent my way. Which curriculum should I buy? When things seem to be falling apart, what are the most important things to fit in? What’s your “baseline Waldorf”? How can I teach multiple children, juggle different ages, with this approach? How can I feel confident and know we’re on the right track? How do you stay the course and keep your enthusiasm high? Let’s dive in to these top questions one at a time. There is no one ideal curriculum! Ask around and then choose one. If you choose to purchase a curriculum package, accept that you will never use it completely as is. And you’ll probably only use about 60% of it at most. There are 3 basics to include: observing your children for what they need, bringing the lively arts and stories, strengthening rhythm to bring predictability and more peace. Put these 3 keys on a post-it note to come back to again and again. To remind you of what’s important: rhythm, a simple plan, and self-care. Find ways of overlapping some activities so that you can do some things together and some separately. Ask older children to play with or read stories to the younger ones. Consider your family to be your community. Do what you can to strengthen that sense of community. If you’re bringing your children the best stories and hands-on artistic activities for their age, you are on the right track! Know that bringing more rhythm to your days will help you to stay on track. Confidence comes from experience and small wins. So be flexible and gentle with yourself. It’s a creative process! (Remember, teaching is an art.) Patience breeds self-confidence. Know that Waldorf homeschooling is the best method for meeting children where they are and helping them discover their unique gifts. I know that this takes trust and faith. But many have gone before you and proved this to be true! Lighten up and be playful. Bring surprises. Have fun. Laugh. Take good care of yourself (with good sleep, exercise, healthy food, and fun). Self-care is not selfish and it’s not an add-on if you have extra time. (Because you won’t.) Self-care helps you prepare. And increases your chances of this homeschooling gig working out for everyone. 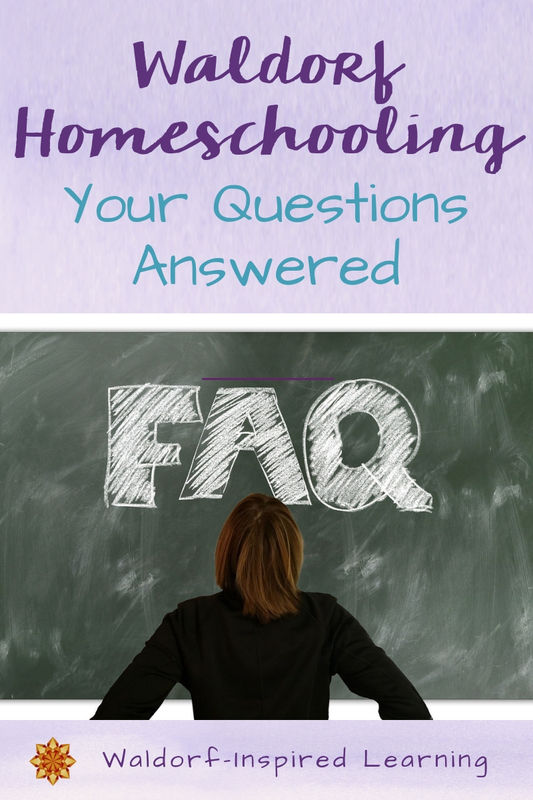 I hope that these FAQs about Waldorf homeschooling provide just the reminders you need.